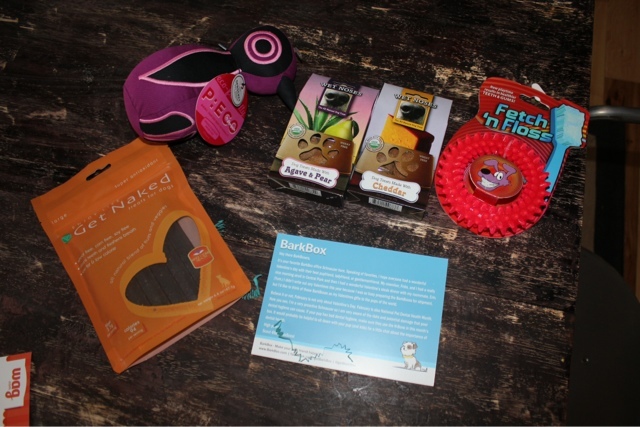 Keeping up with The Caseys: Bark Box Review Time! 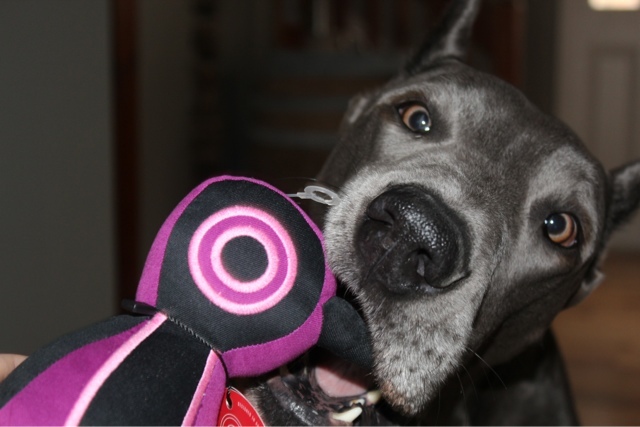 We received Graycie's Bark Box on Friday and good Lordy wordy, she loved it! If you haven't googled this yet, get on it! First off, I always get so excited when I get home and there is a box or some type of package on the steps (even though this one wasn't for me)! 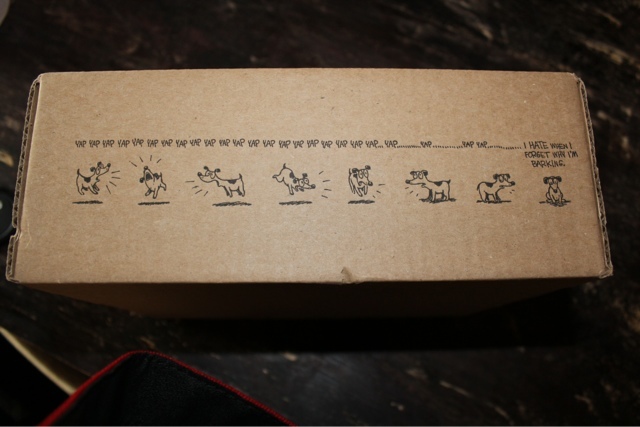 Their packaging is so cute and its clearly displayed that it was for the pooch! Naturally she was being nosy by snooping and smelling around the package (as I'm typing this review, her head is on my lap top)! They send a sweet welcome post card, along with a list of the products that are in that months box, with their descriptions. 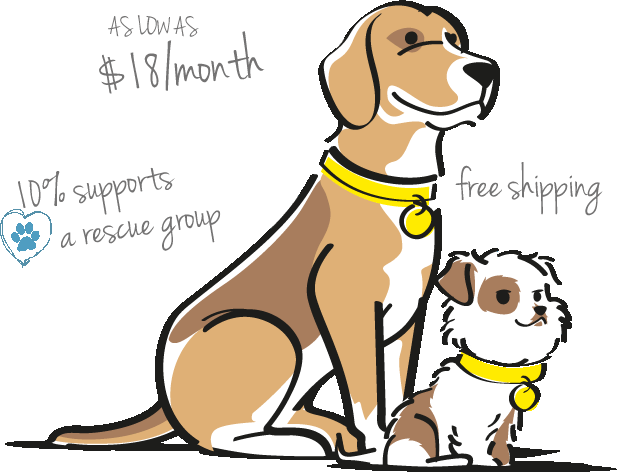 There was also a $10 coupon for Wag.com. They specialized in shipping dog food straight to your front door. Which is helpful when you feed a horse like we do! Graycie instantly fell in love with the penguin!!! She's a sucker for stuffies! This penguin is super durable and she's been tossing him around the house since Friday! 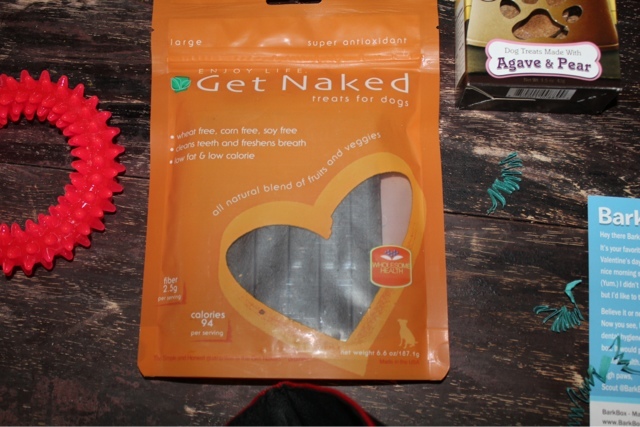 These "Get Naked" treats are fantastic for the pups, it kept both of them busy for a while! Plus Puppa's breath smells like fish n' chips, so this was an added bonus! 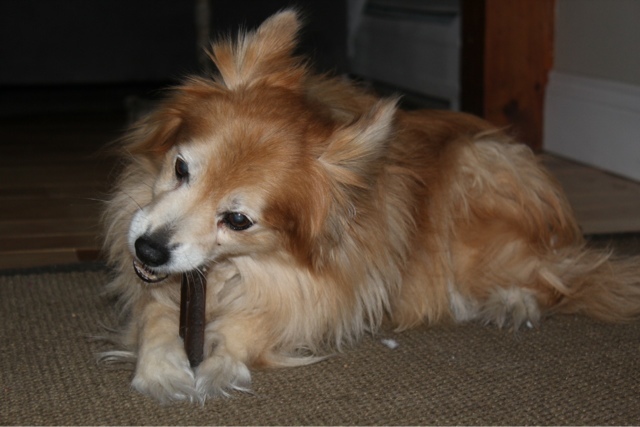 We received 2 other types of treats that are wheat, corn and soy free and a Fetch n' floss chew toy! Seriously, did they know that I'm a Dental Hygienist? 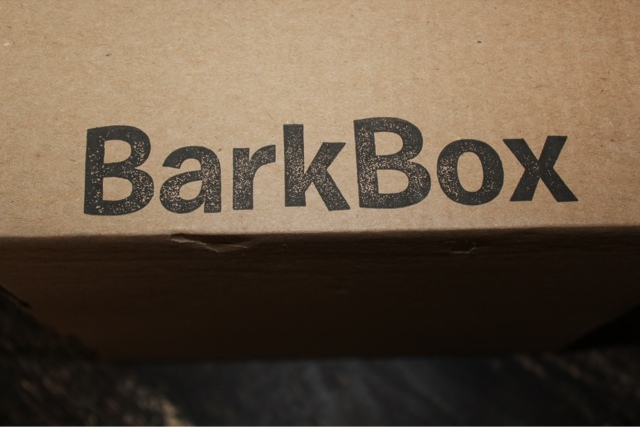 My overall experience with Bark Box, has been awesome. 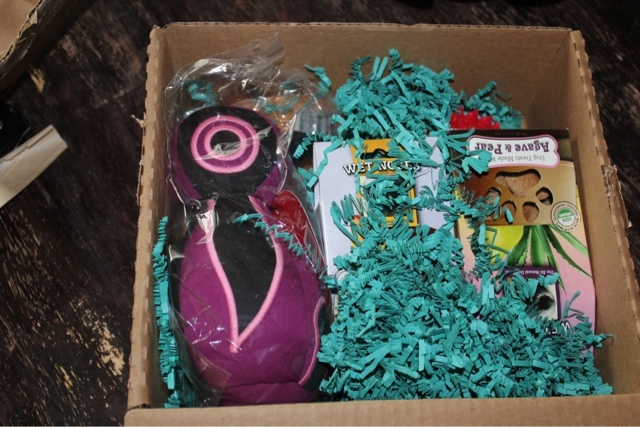 From the complimentary box to the great quality items that were shipped. We will be subscribing monthly!!! Let me know if you are interested in a subscription! I can get you $5.00 of your first order! You can also follow them here on Twitter. *All opinions are my own and I was not financially compensated for this post. If I had a dog I would totally do this. So fun!! Looks like your dogs enjoyed! I need your email!! your a no reply blogger so I can't get in touch with you!!! Ahh, that is the cutest thing. 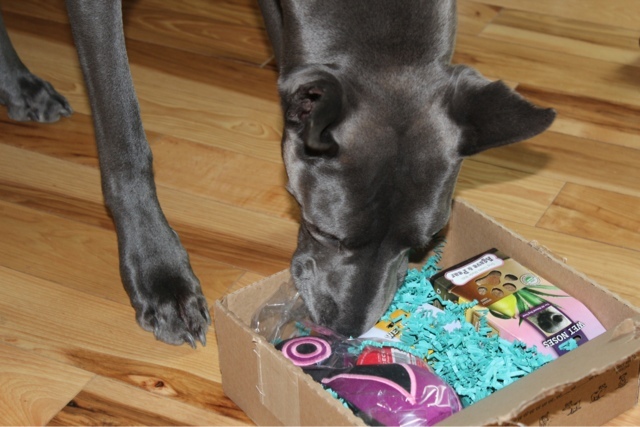 I so didn't know they had subscription boxes for pups now! This is such an adorable idea! If only I had a puppy to spoil. 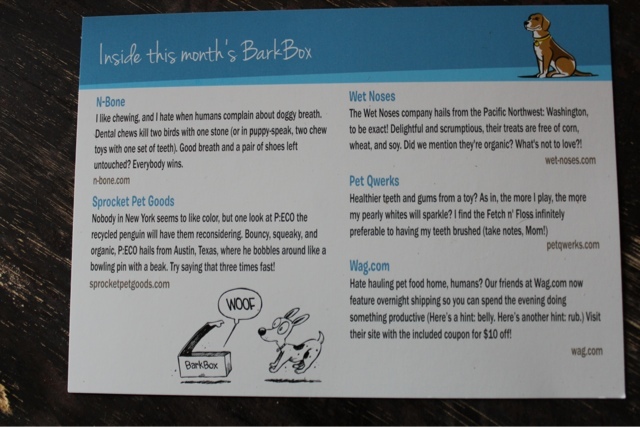 Oh wow I have never seen Bark Box but I HAVE to sign up!! I just came across your blog and love it...I am from MA too but sadly relocated down to SC recently. I miss Boston every day!! I am soooooooooooo tempted to get one for Chip and Daisy. This is so cute! I have to get one for Pluto!! That's such a great idea. Nutmeg would LOVE getting her own package! 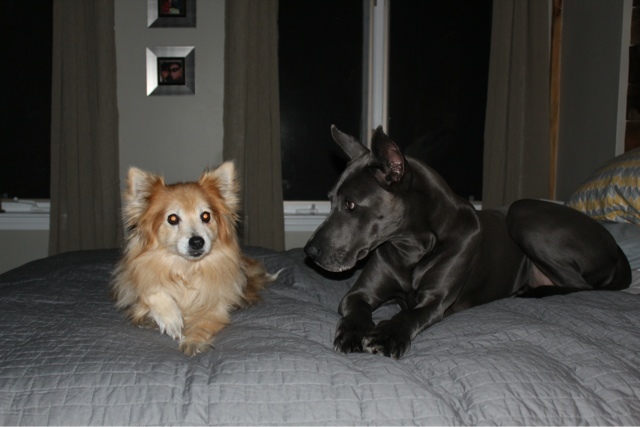 By the way, your Great Dane is gorgeous! I need to get one for my pooochies, they always try to steal stuff out of my hands when I walk in the door, imagine their surprise when the box really was for them, they would fahhhhhreak. I really need to get on this. I need to get this for my girls! How do you get $5 off your first order?! So has someone cornered the market on a Meow Box? I need one of those!